I like to be in the thick of it all. And when I was living in Williamsburg, I wasn’t. To me, that neighborhood is so quiet and slow. Even though it has a reputation for nightlife, it's nothing compared to the scene in Manhattan. And the dreaded L train often made going out on the weekends a challenge, since it's so often undergoing construction. I’d lived on the Lower East Side before moving to Brooklyn, and I missed Manhattan a lot. So I decided to look for a new place. When I started looking, I was ready for another change too: I wanted to live alone. In Williamsburg, I lived with a roommate in a two-story cottage in the back of our landlord's house. There was a big garden where the landlord grows lots of vegetables and spices right outside of the front door. It sounds awesome, but it was not ideal for me: I felt like I was in high school again. The landlords weren’t overbearing or anything, but I still felt like I was constantly being watched by my parents. Maybe it was because when I would walk out of my bathroom after a shower, I’d see my landlord standing right in front of the window working in his garden. I was looking all over Manhattan. Originally, I looked on the Upper West Side because I thought it would be the cheapest neighborhood for a studio. I quickly learned that was not the case! 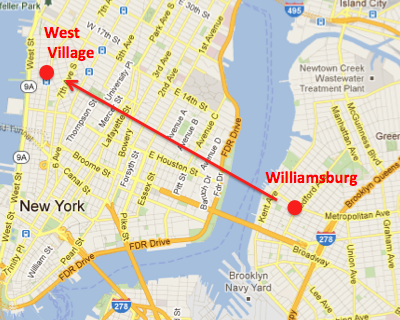 I never really considered the West Village because I thought it would be too pricey. But I ultimately decided to live with a roommate to save money. My current roommate and I have a mutual friend who we are both very close with. We had never met before I looked at the apartment, but the minute I met her, I knew she would be an awesome roommate. Still holds true! I love living with her, I save a TON of money, I get to walk to work, and I live in the village ...THE VILLAGE! I ended up paying less in Manhattan than I did in Brooklyn. Even though my current rent is a few hundred more, it includes utilities – including a maid who cleans twice a month. And I walk to work, so I save on subway fare. Just goes to show: you never know what you may find in this city! Everything is easier in the West Village. I live literally 2 blocks from work. I'm not a morning person, and this has pushed back my wakeup time from 8 to 8:30 a.m.! My gym is a few blocks away -- a luxury I did not have when living in Williamsburg. There's an Associated around the corner and two Duane Reades a half-a-block away. There's also a health food store right downstairs in case I get lazy. I go out a lot more now that I'm back in the city. 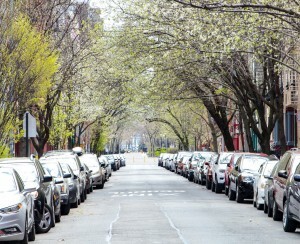 There's a lot more variety of places in the West Village to choose from. Williamsburg was just not for me -- I need the noise, excess people and energy of the city. The only thing I miss is M Noodle Shop on Metropolitan Avenue. 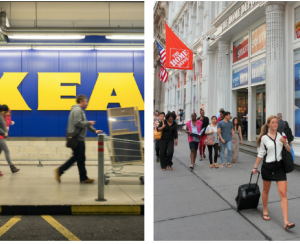 I've lived in three different neighborhoods since I moved to NYC four years ago. Each neighborhood has brought something unique and I'm glad that I've experienced different parts of the city. But, for now, I’m really happy to be back in the thick of it all!